Touch Of Belle : Want to write a guest post on Touch Of Belle? I have been looking for ways to expand my blog for a bit now and have always wanted to have and do guest posts as I think they are a great way to find other blogs! 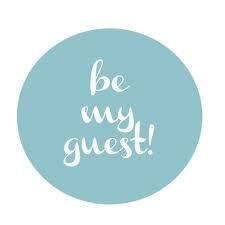 I have decided to do a new series on my blog where there will be one guest poster on each 1st of the month. I will accept any posts that are relevant to my blog E.g. beauty reviews, fashion, DIY's etc. If you would like to guest post on my blog please email touchofbelle@gmail.com with your blog and an outline of what you'd like to post about. As soon as the post is sent to me I'll get it scheduled!